Pesto does more than add a savory kick to pasta. It zips up chicken, keeps pork moist while it bakes, adds flavor to bread and perks up vegetables. How to make perfect pesto isn’t difficult. Now I know the classic recipe calls for pine nuts, but have you priced those babies lately. Almonds work well as a substitute. Use the money you save to buy a nice bottle of chianti. Many cooks throw in the garlic raw. I prefer to poach it in garlic first. That smooths out the rawness and adds more garlic flavor to the oil. Add a few tablespoons of oil to a saute pan over medium low heat. Add the garlic. When you can mash the garlic with a fork it’s ready. Don’t let the garlic brown. Roughly chop the basil. Toss into a blender add the oil in a slow steady stream while the blender is on. 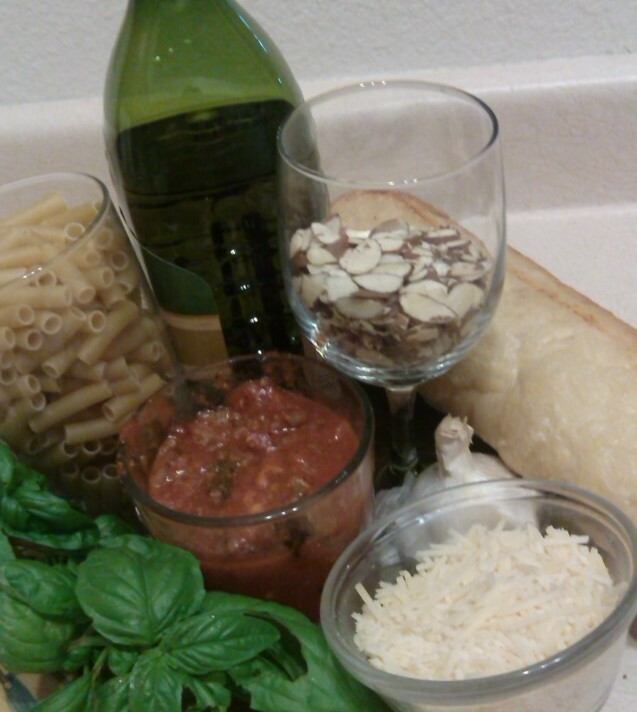 How much you add depends on the final consistency and flavor of the finished pesto. 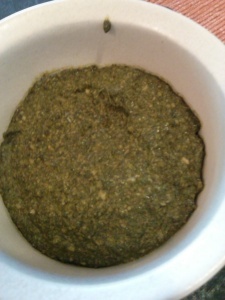 An intensely flavored pesto results when you use less oil because the other ingredients aren’t diluted. When the basil is blended. Add the almonds, garlic and Parmesan cheese and blend until smooth. Now that wasn’t hard was it. Freeze any leftover pesto. Change up the ingredients for different dishes. For example use walnuts parsley and cheddar cheese with walnut oil. Or cilantro, almonds and Monterey jack cheese for Mexican dishes.